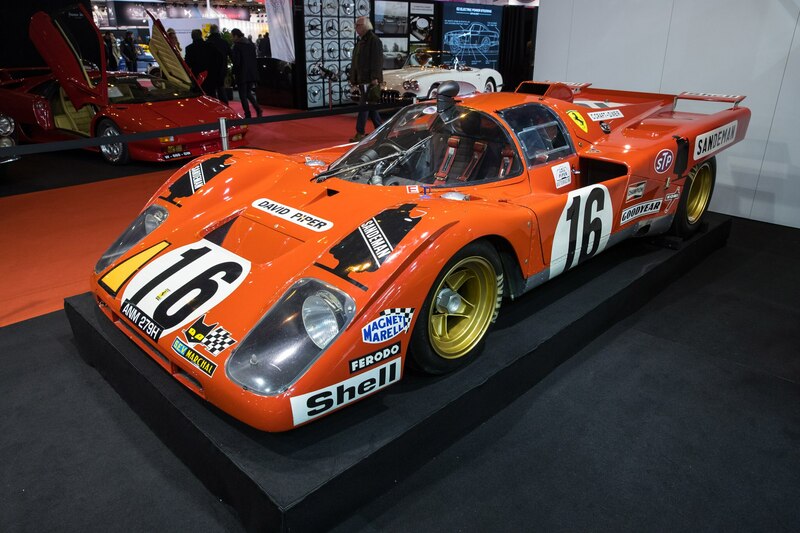 Yes, I’ve been to Monterey Classic Car Week some 30-odd times since the mid-‘80s and while I share my new friend’s enthusiasm for Retromobile, it’s not so much a Monterey competitor as it is its own experience. 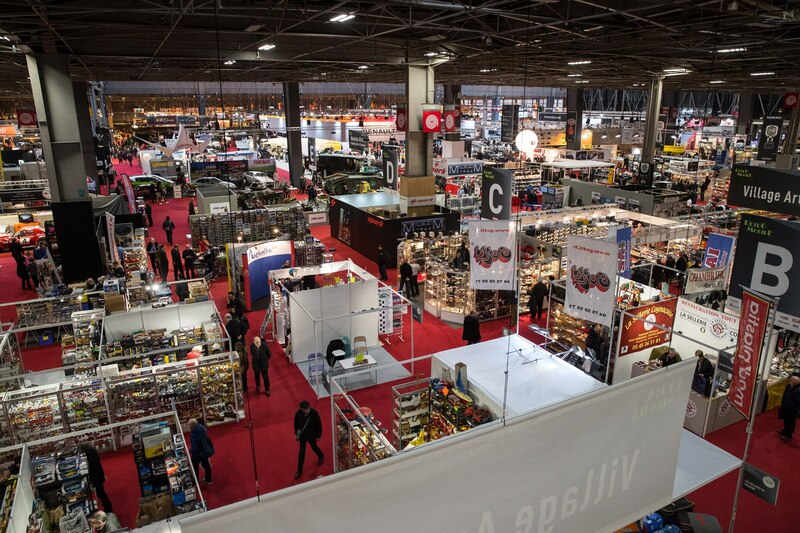 Imagine a venue on scale with those of the international auto shows, but stocked with hundreds of vendors selling classic and collector car parts, tools, books, models, and plenty of esoteric automobilia. 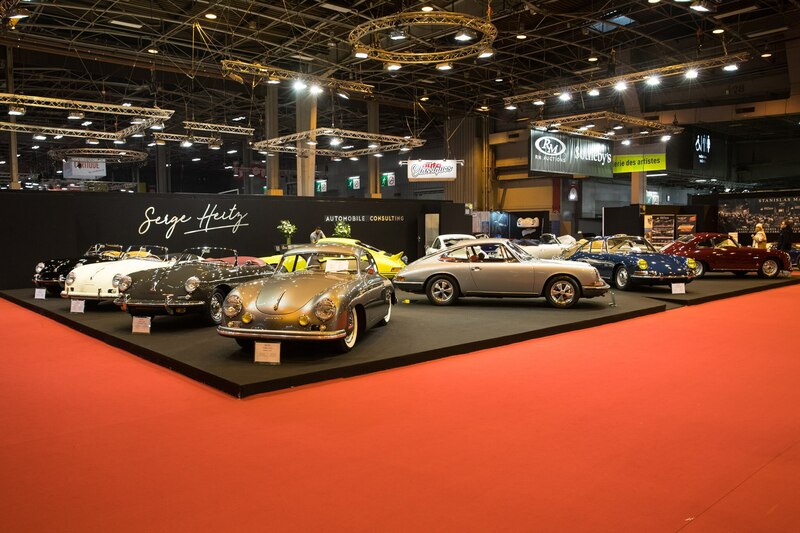 Car clubs are on hand to display member’s machines and there’s both a high-end dealer’s area with hundreds of cars for sale as well as a smaller for-sale section for cars that cost 25,000 euro or less. 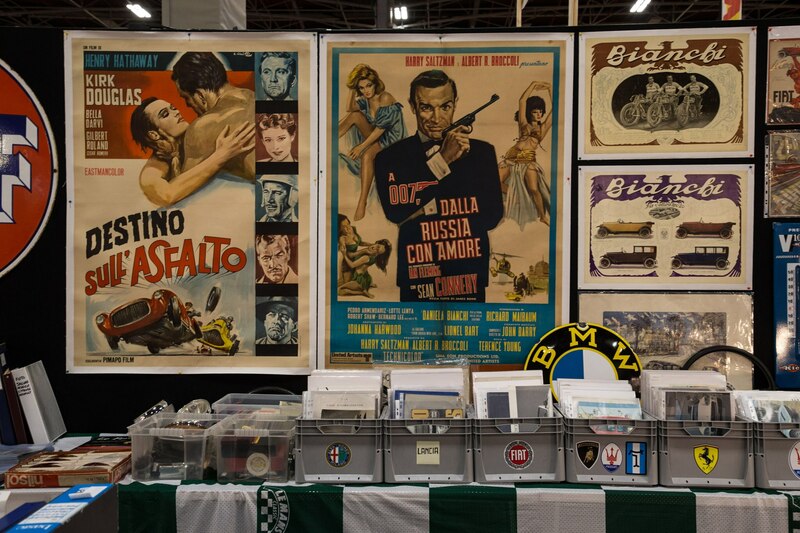 That all means there’s plenty to see and we roamed the halls for several days, never failing to spot at least a few items we’d missed the day before. 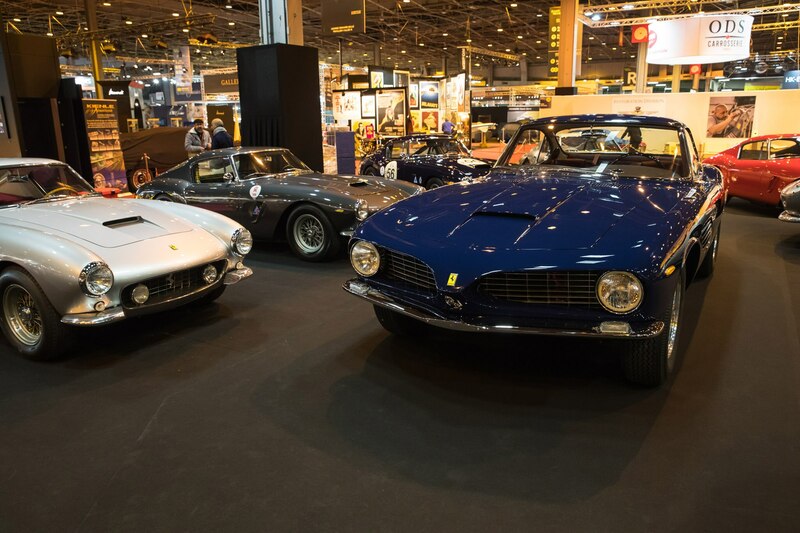 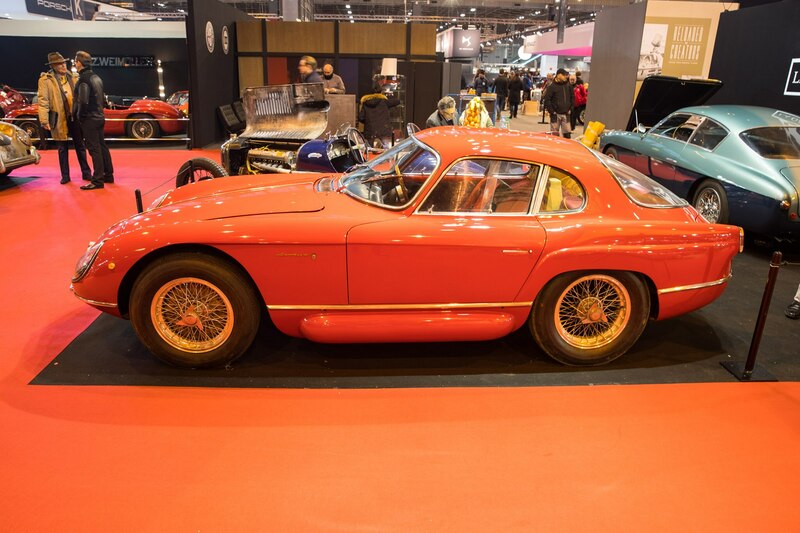 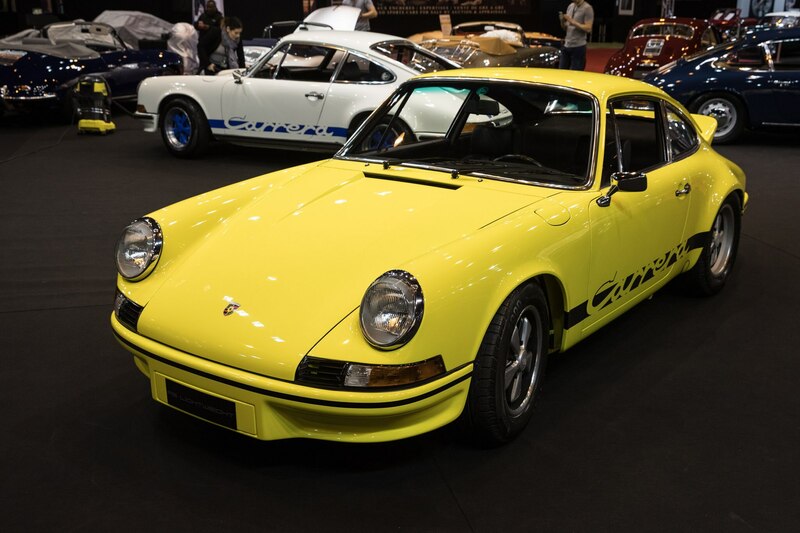 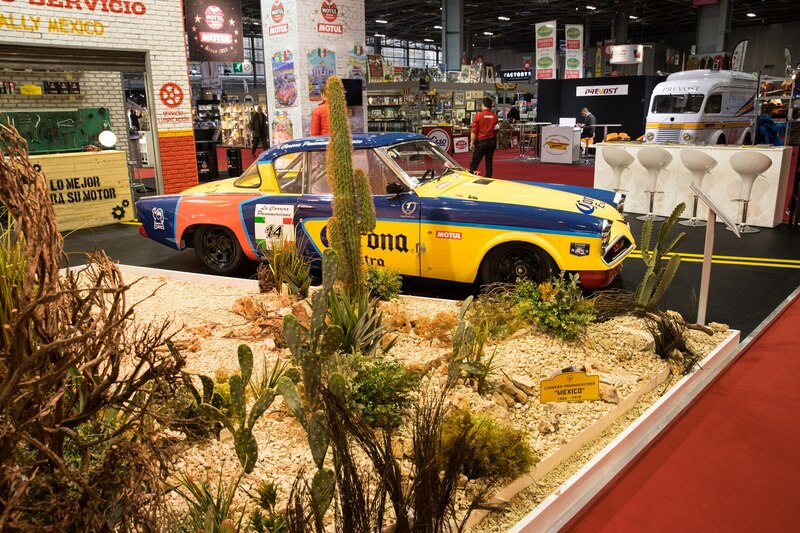 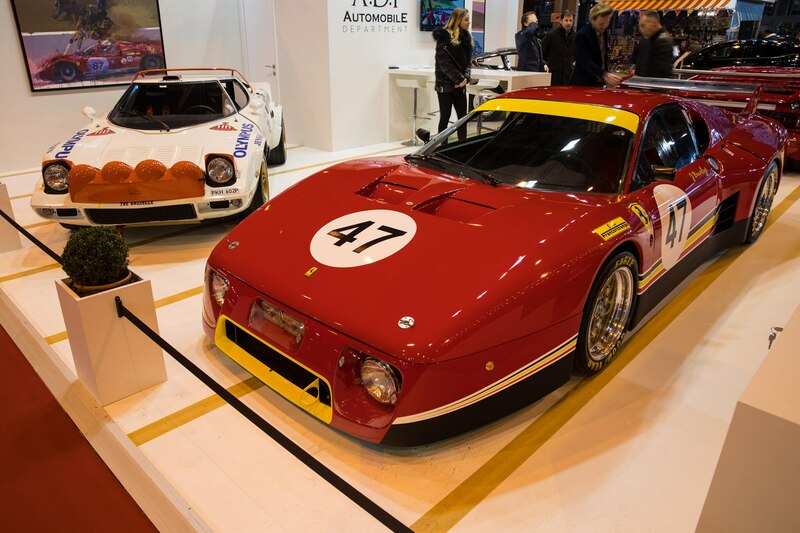 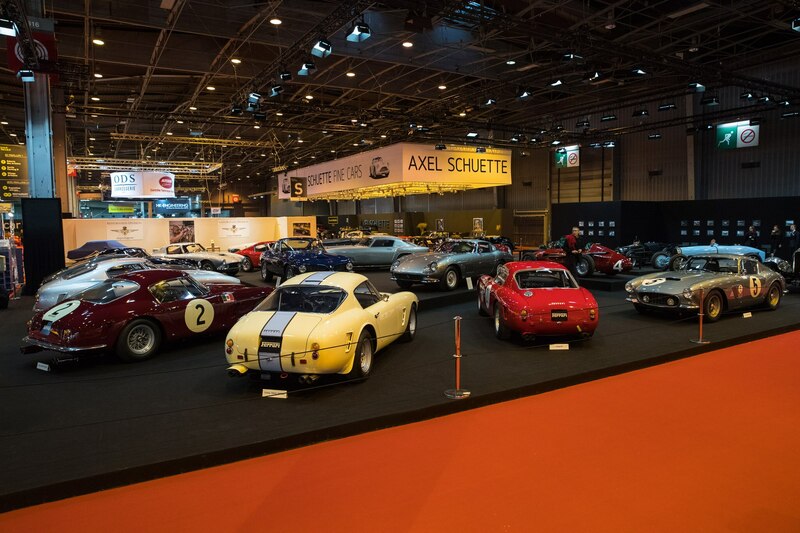 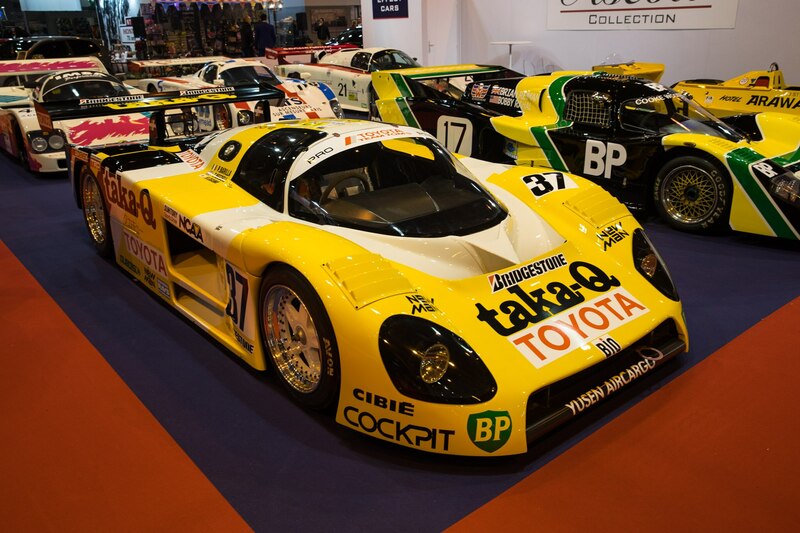 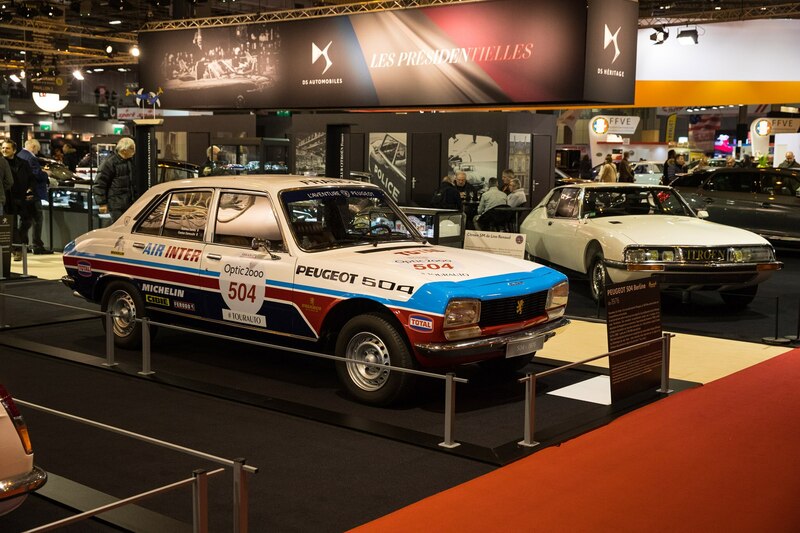 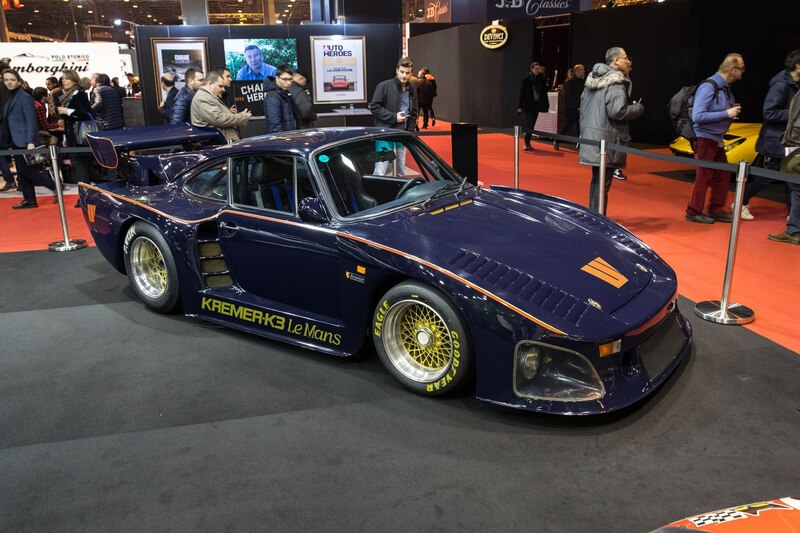 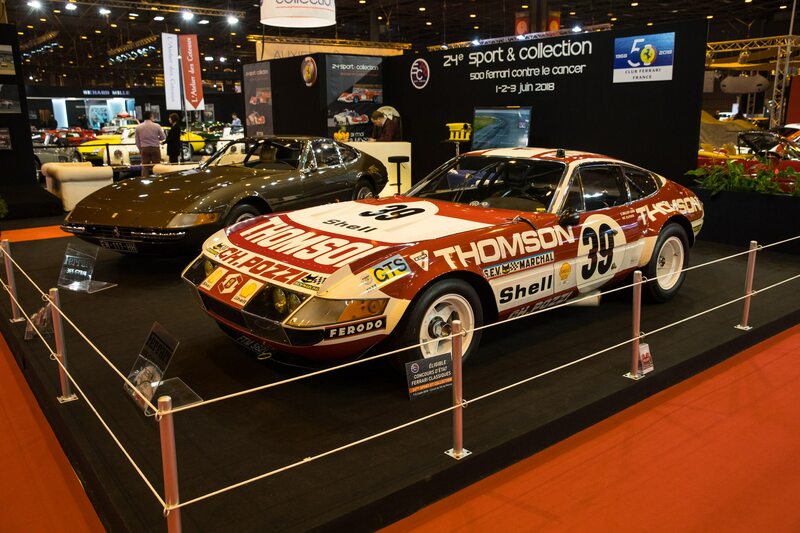 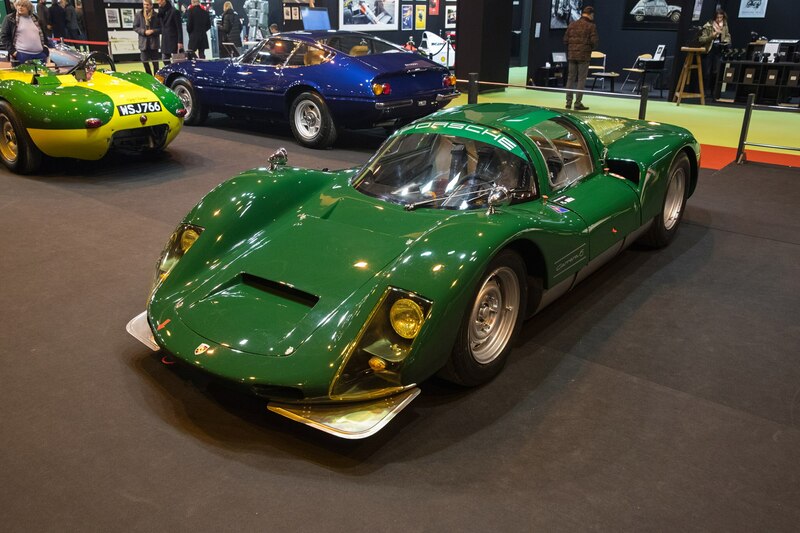 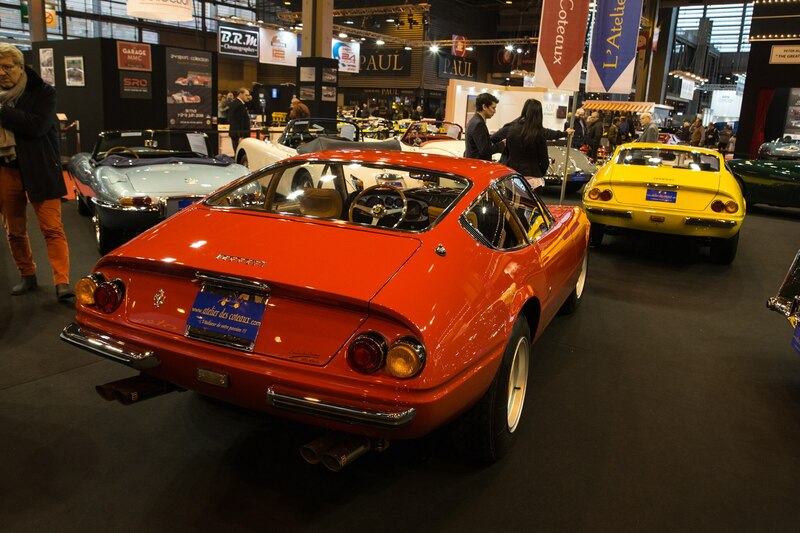 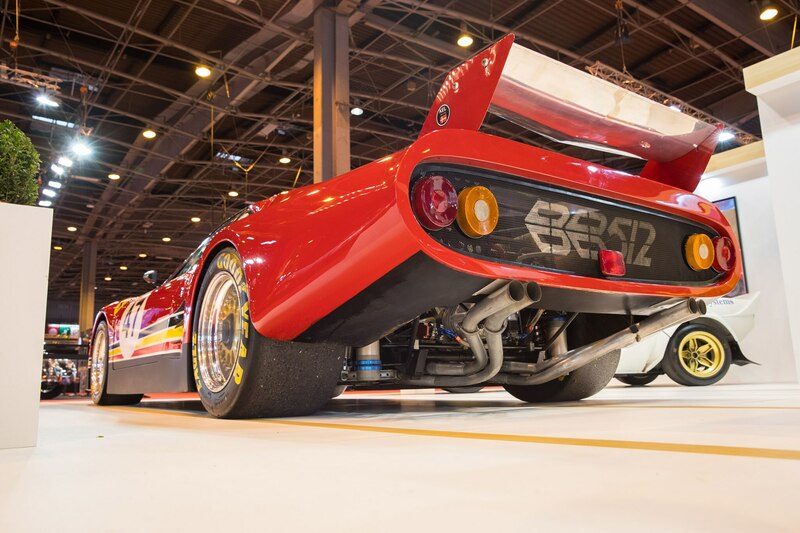 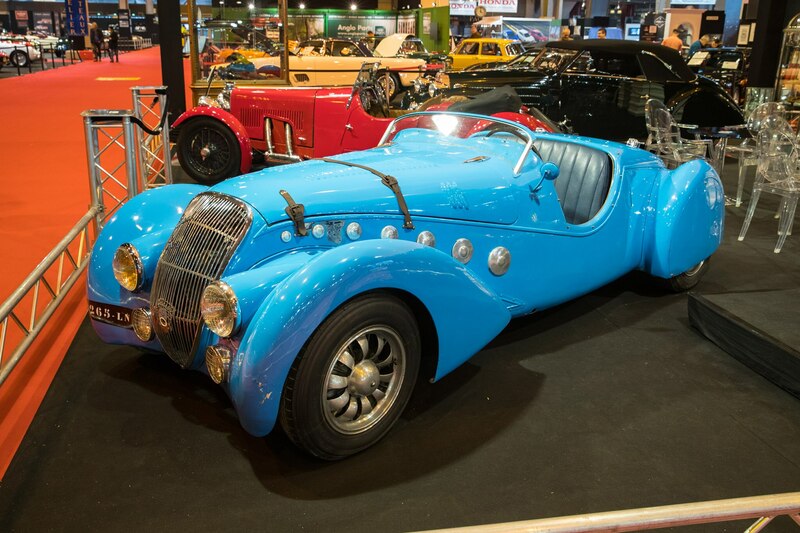 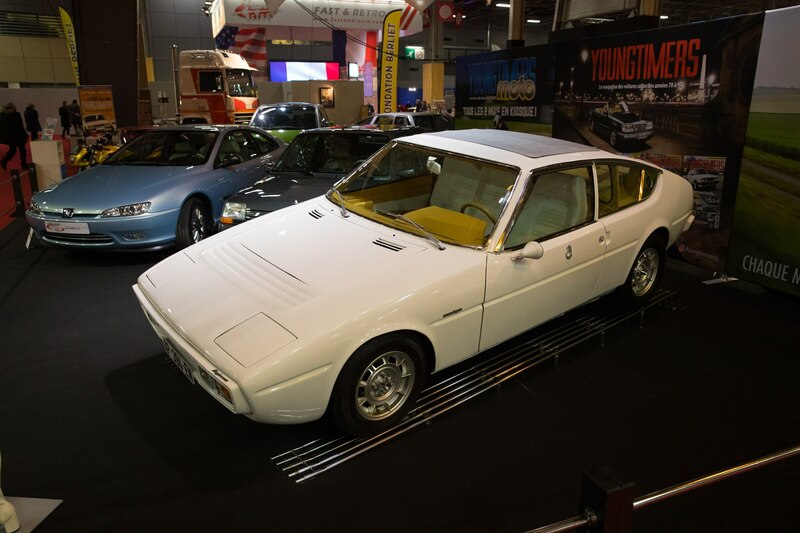 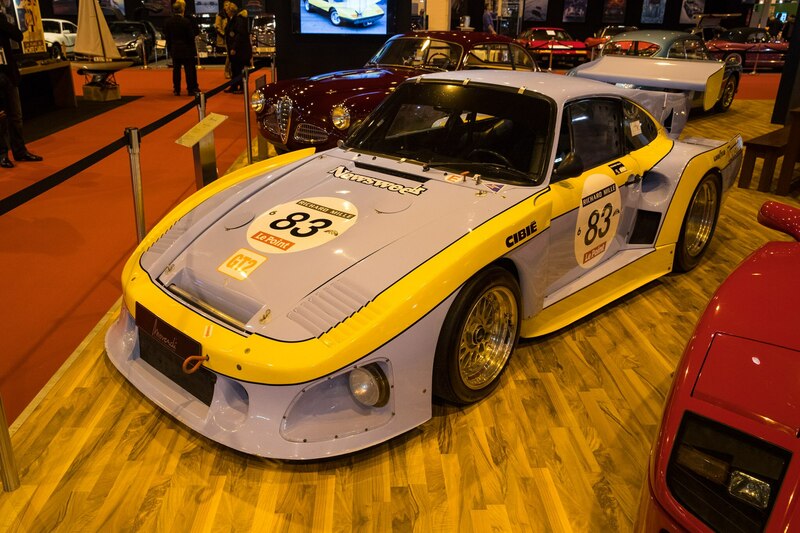 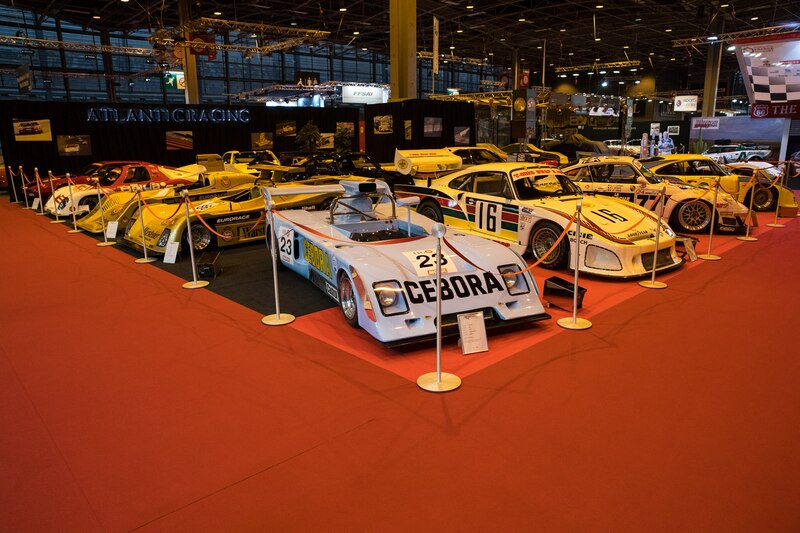 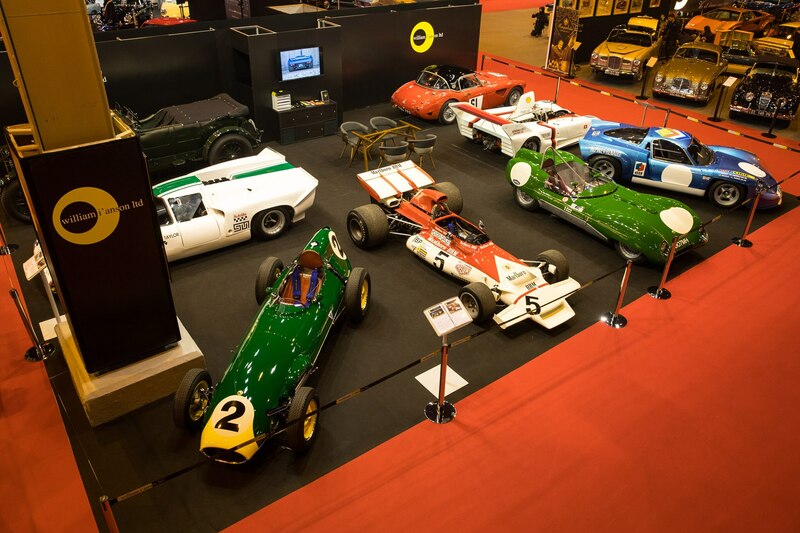 Here are six of our favorite things from Retromobile 2018, which should be enough cause for you to put this show on your ‘must see’ list for next year. 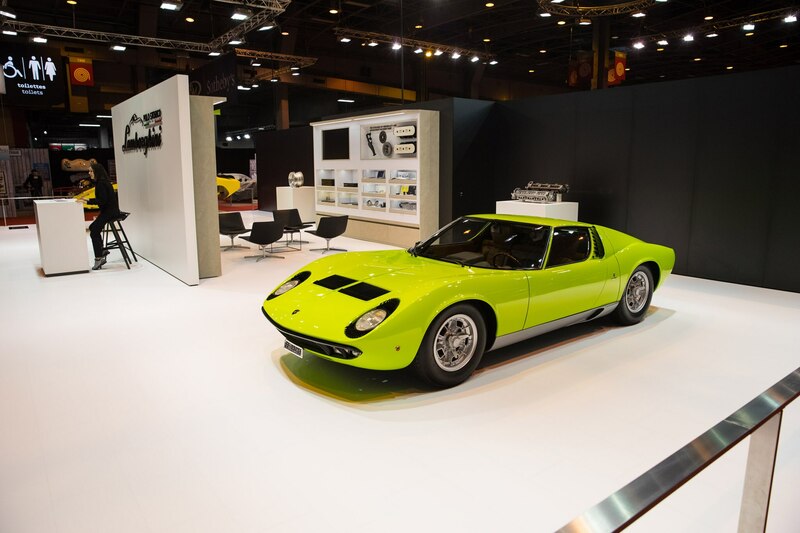 Lamborghini has assembled its very own heritage department at Sant’Agata Bolognese, dubbed Polo Storico. 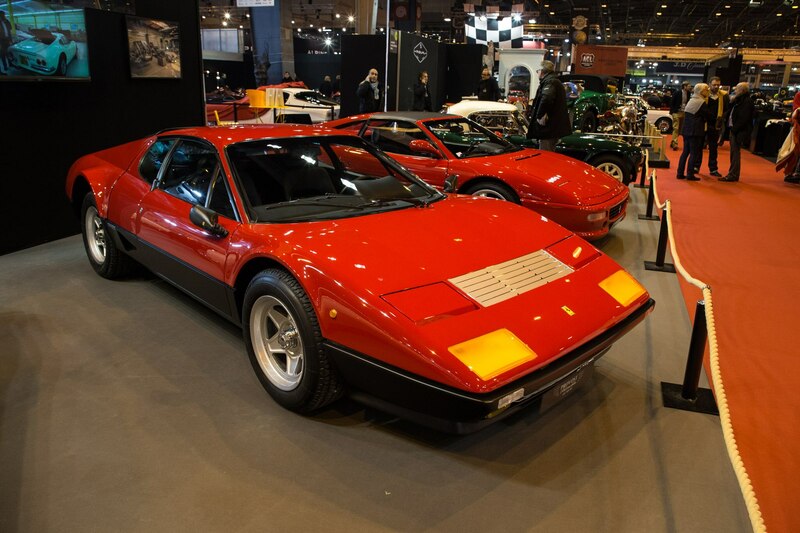 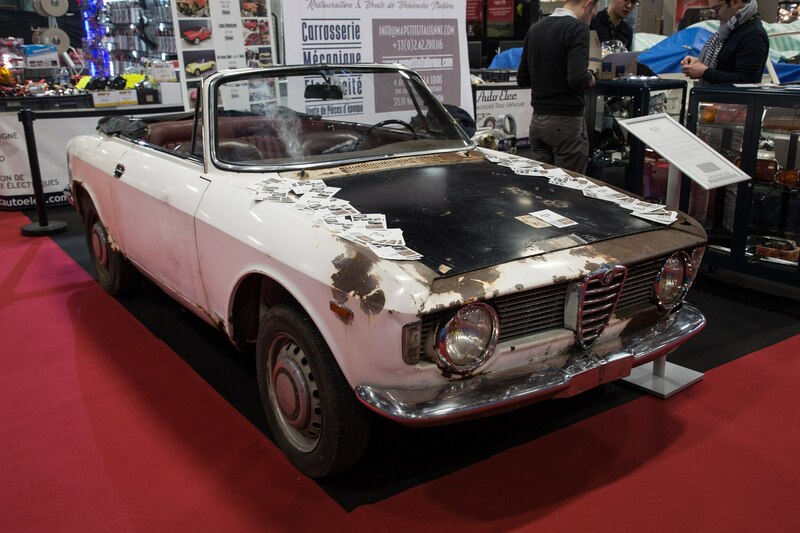 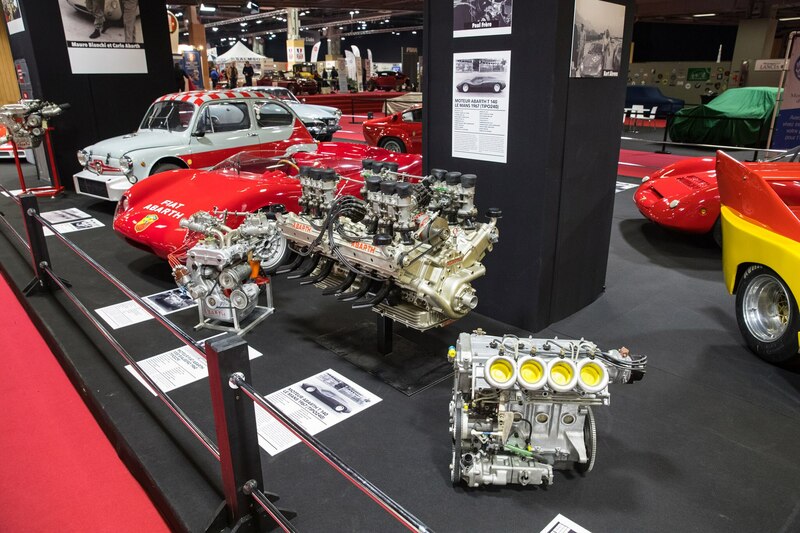 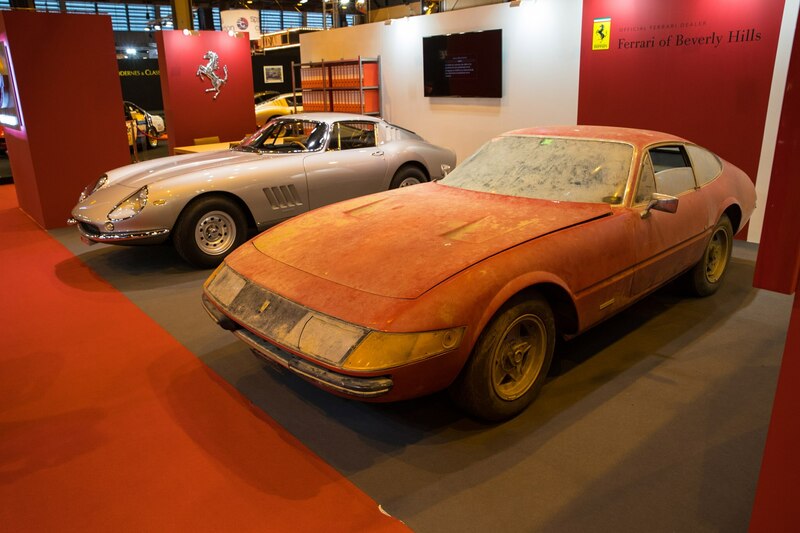 Offering services from certification to restoration, the program is similar to Ferrari Classiche in its efforts to support vehicles from its long and storied past. 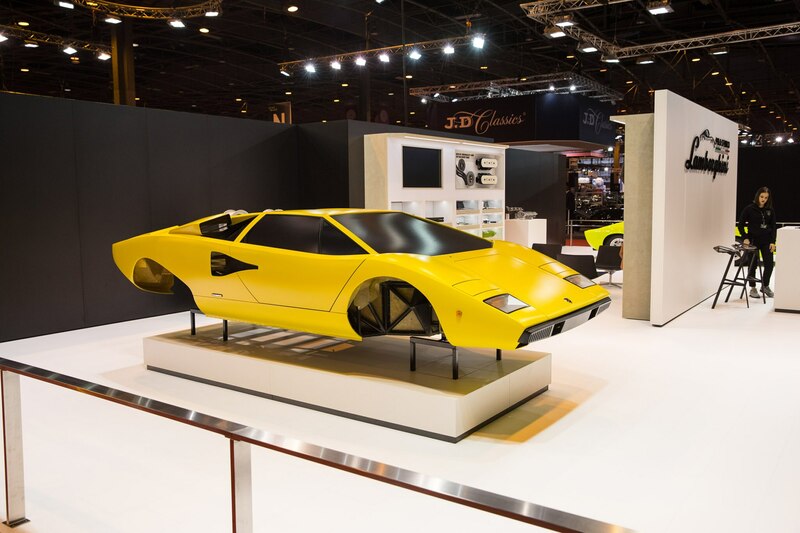 The Lamborghini Polo Storico stand at Retromobile featured this work in progress, a Lamborghini Countach which had been completely disassembled and was displayed with only its bodywork and tube frame, devoid of any mechanical or suspension bits—less of a car, more of a work of art. 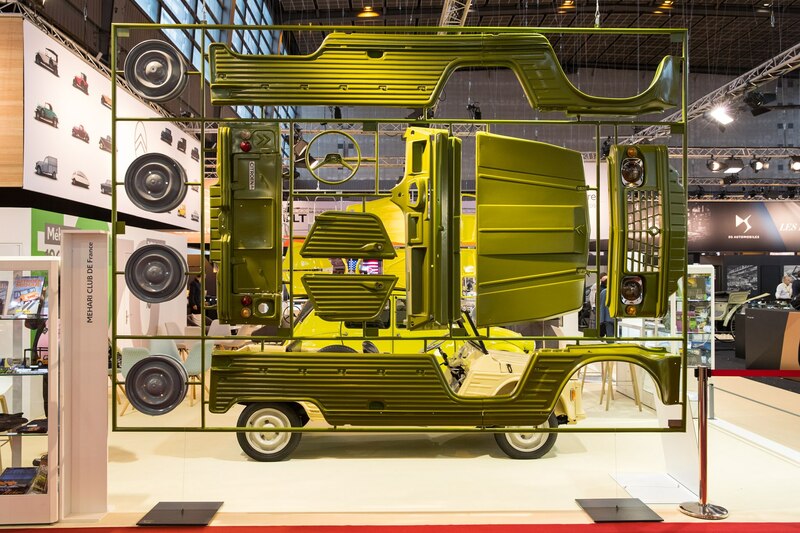 Retromobile hometown hero Citroën celebrated anniversaries of two of its most-recognized heritage models, the 2CV “deux chevaux” people’s car turns 70 years old in 2018 and the rough-and-ready 2CV-based Méhari utility vehicle turns 50 years old. 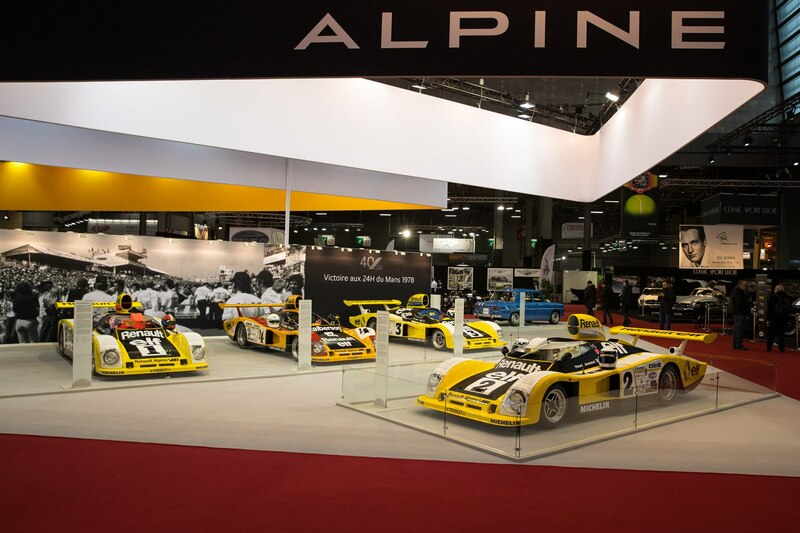 Examples of each were on display, along with a full-size mock-up of a Méhari plastic model kit. 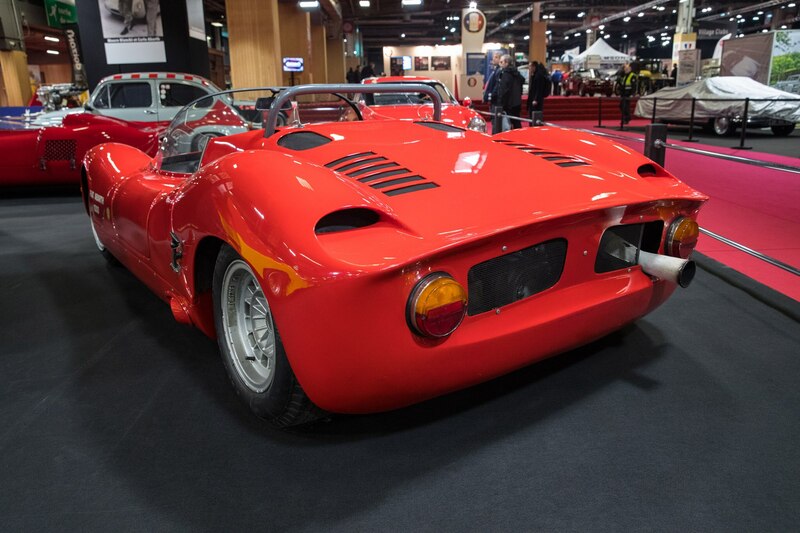 There are Abarth collectors, and then there are Abarth collectors. 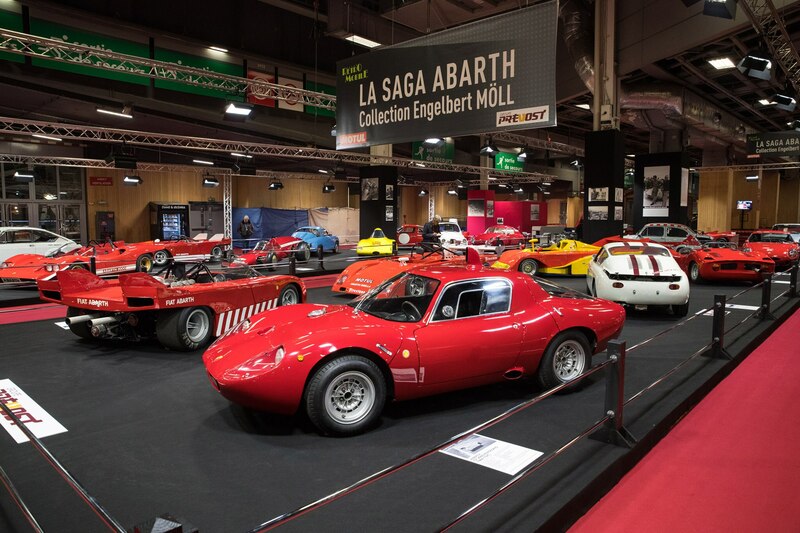 Englebert Moll, a former Abarth factory driver from Switzerland, brought half of his 40-Abarth collection to Paris and it was an amazing thing to see, showing the true diversity of Abarth as both a tuner of small-bore Fiat economy cars and a full-on motorsports powerhouse, building scratch-made, giant-killing race cars. 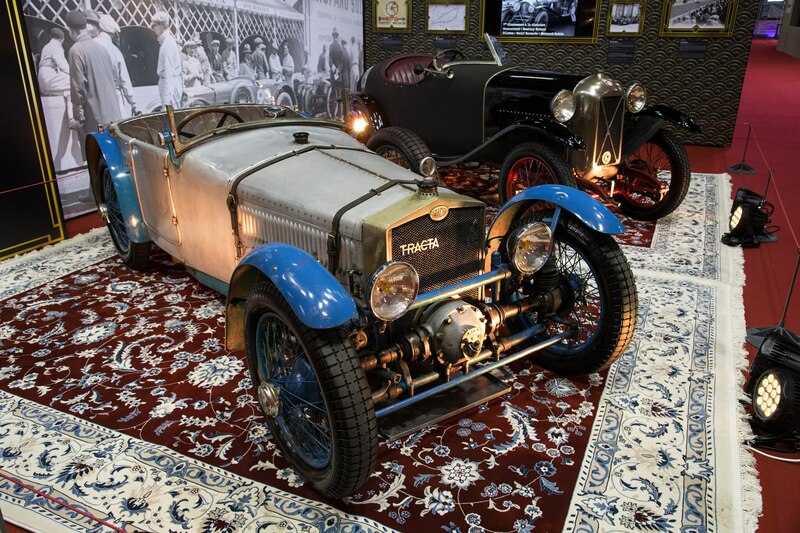 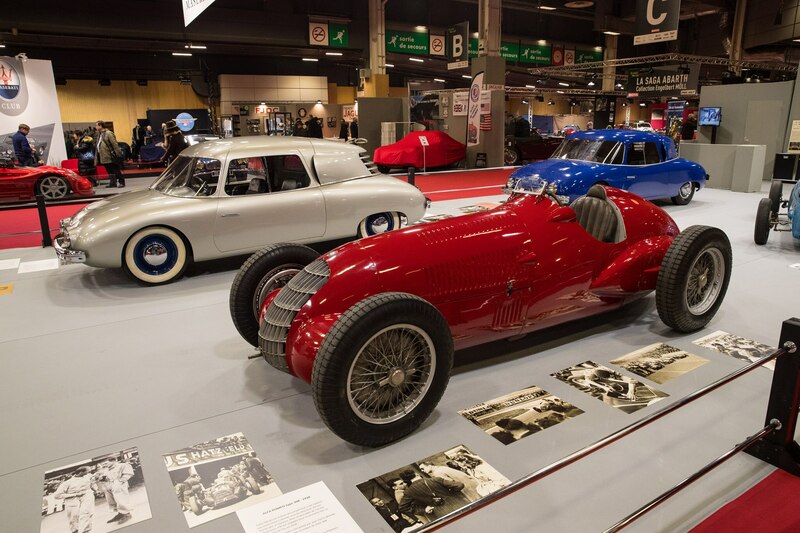 Among our favorite models was the 1300 Periscopo sports racer that sits at the front of one side of the display. 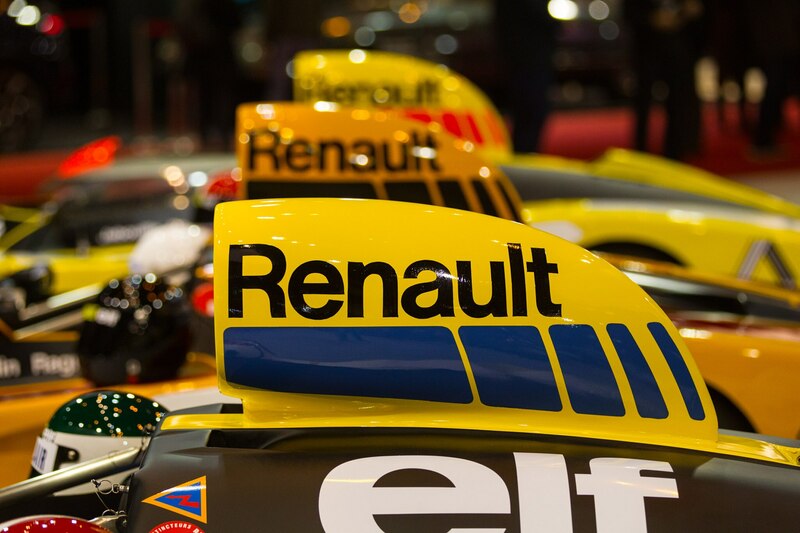 It’s an especially sweet thing for a French team when it wins the 24 Hours of Le Mans, which Renault is still talking about its overall win in ’78 even 40 years later. 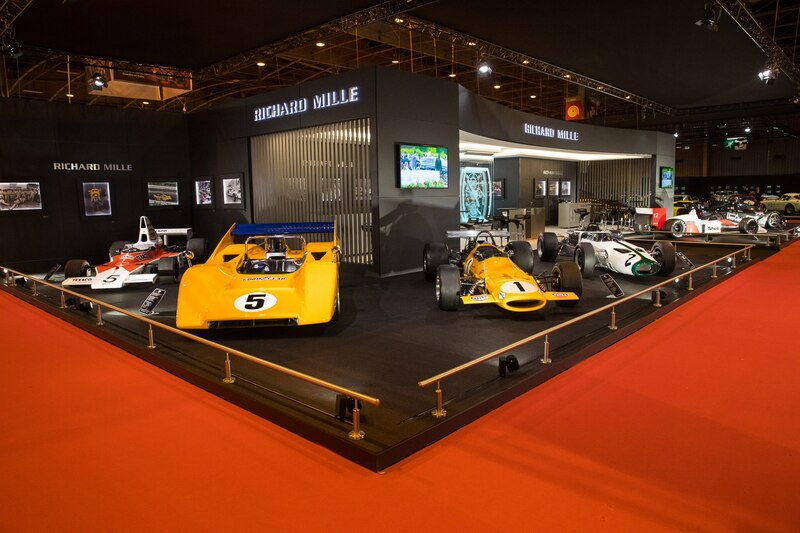 All four A442 prototype racers that Renault entered in the event were featured at the brand’s show stand, with the race-winning #2 car positioned front and center. 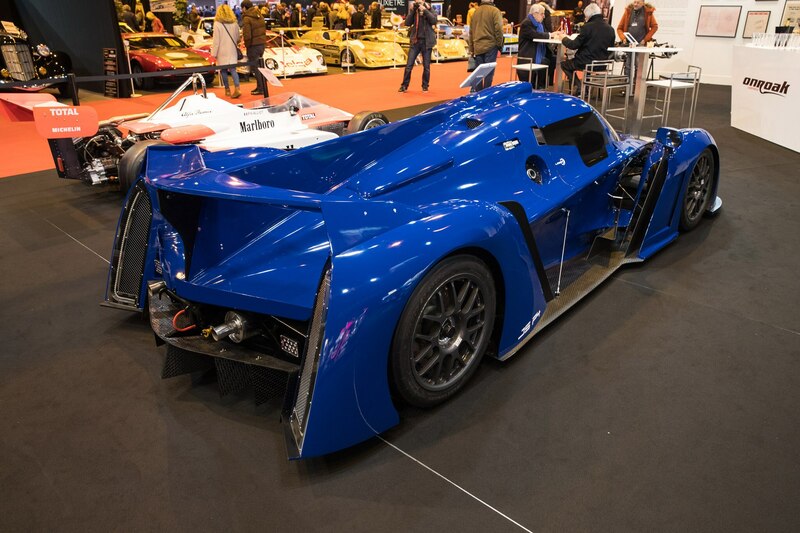 Each car is powered by a 2.0-liter turbocharged V-6 engine, making about 500 hp for just 1500 pounds or so. 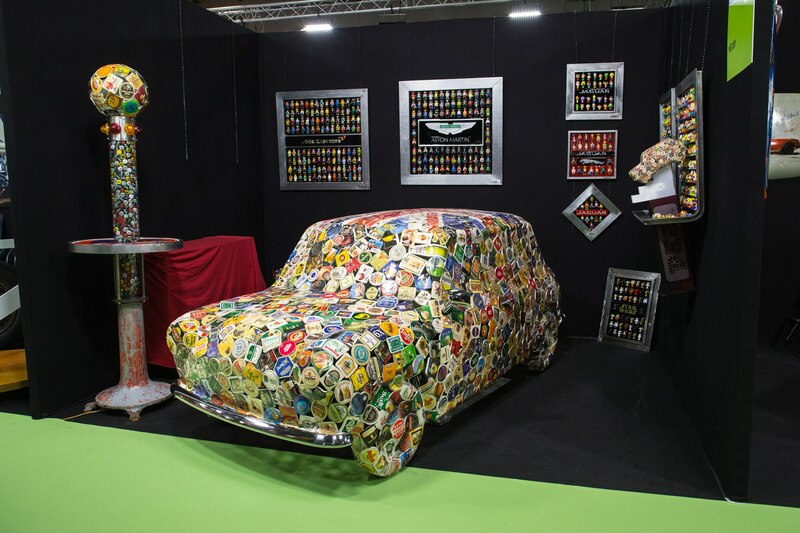 Car Dealers or Candy Stores? 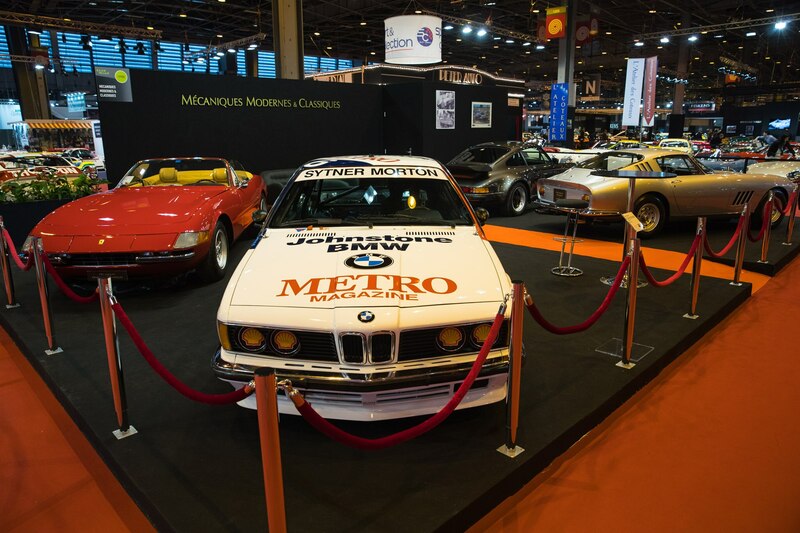 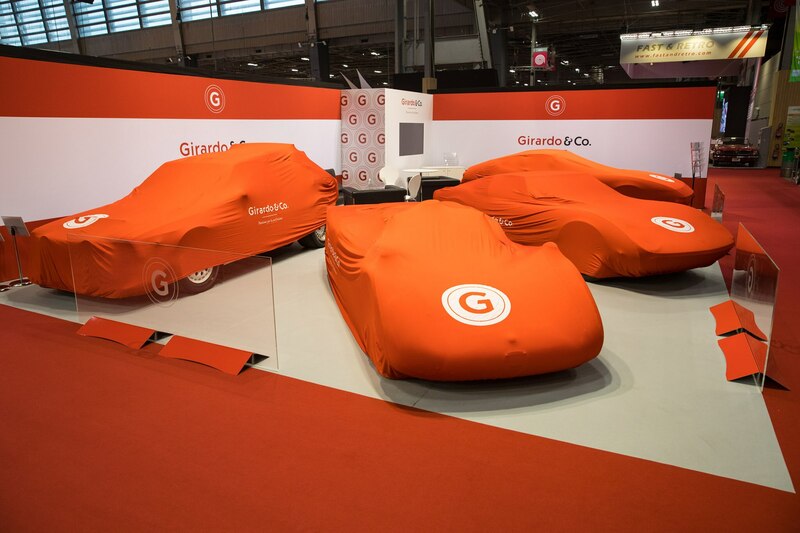 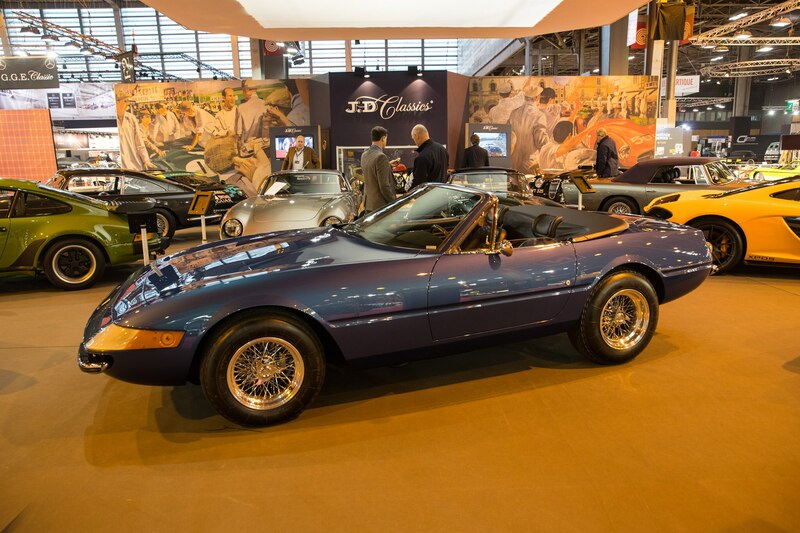 The term “used car dealer” isn’t often a friendly one, but at Retromobile the standards are set a little higher. 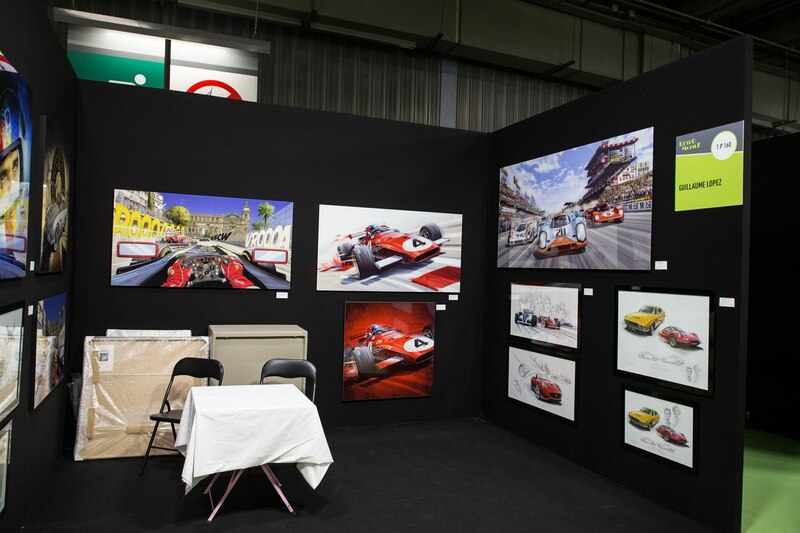 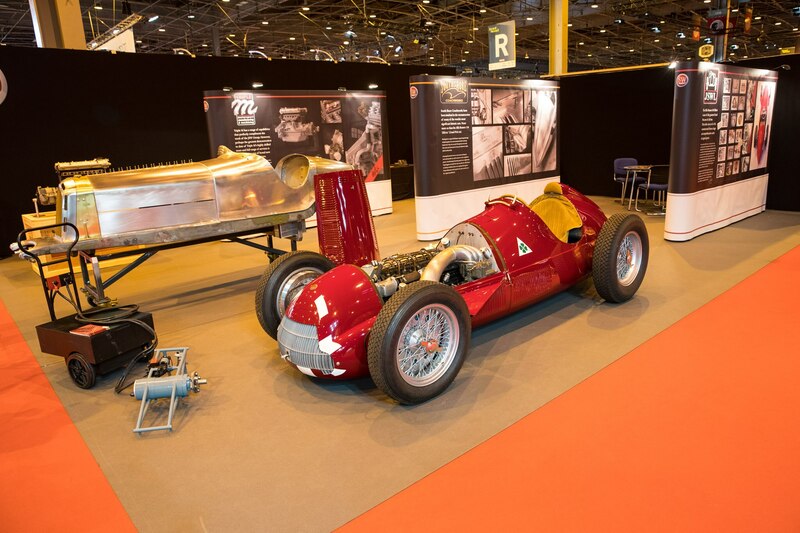 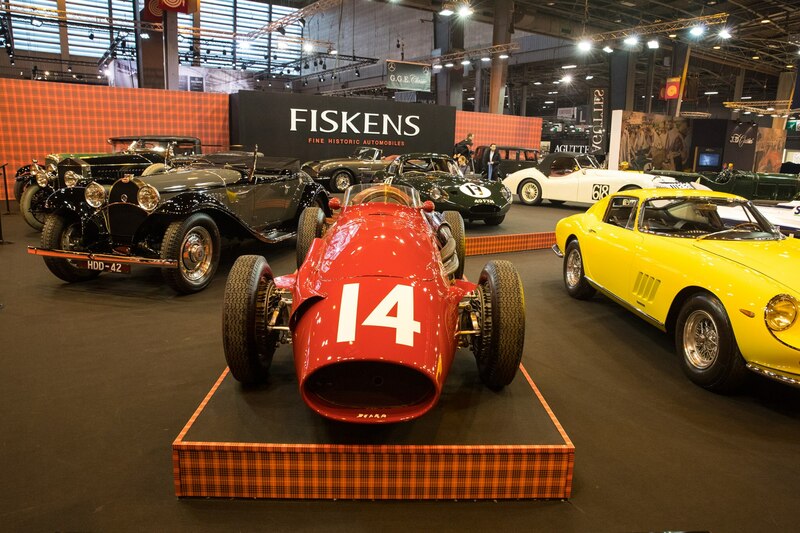 For example, the booth of well-known classics dealer Fiskens featured an ex-works 1955 Maserati 250F Formula 1 car, as driven by F1 piloti Jean Behra. 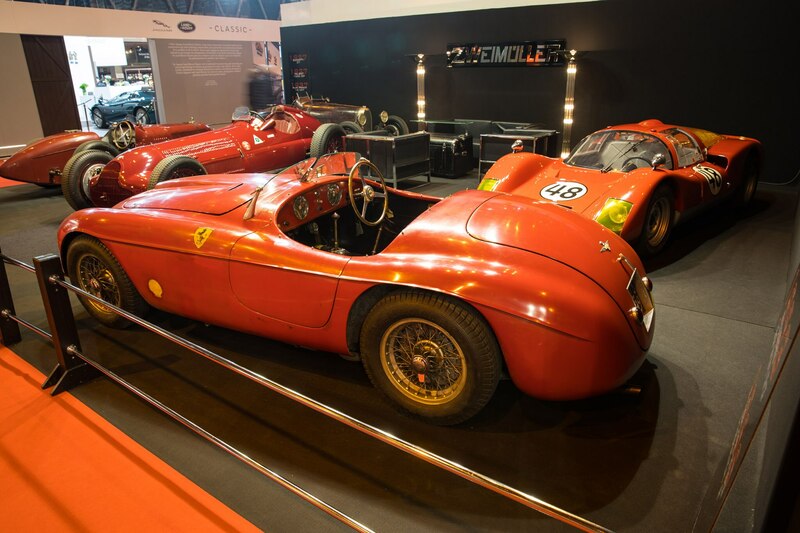 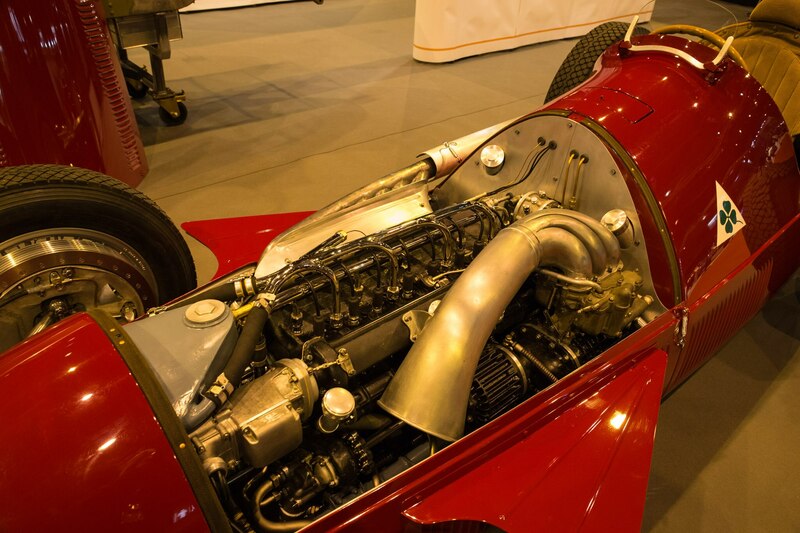 The very car won three F1 races that year and was flanked by a 1931 Bugatti Type 50 and a 1964 Ferrari 275 GTB on Fiskens’ stand. 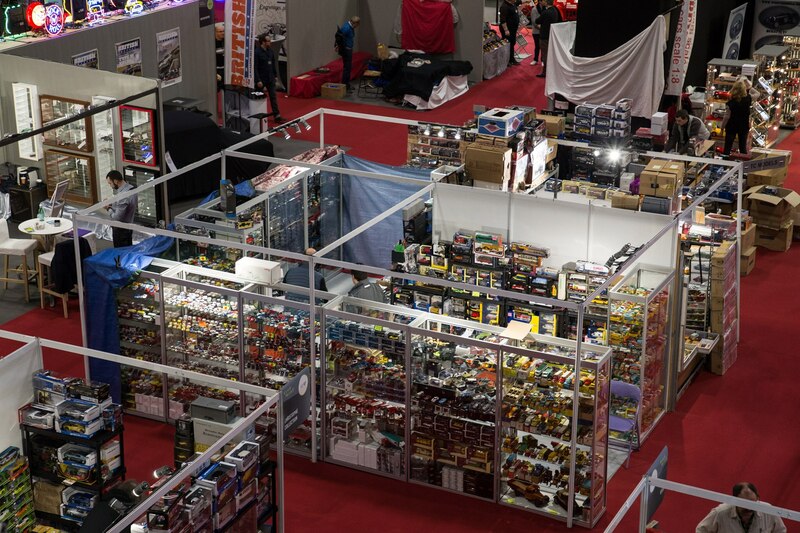 Needless to say, well-heeled attendees were spoiled for choice with regards to their next toy purchase. 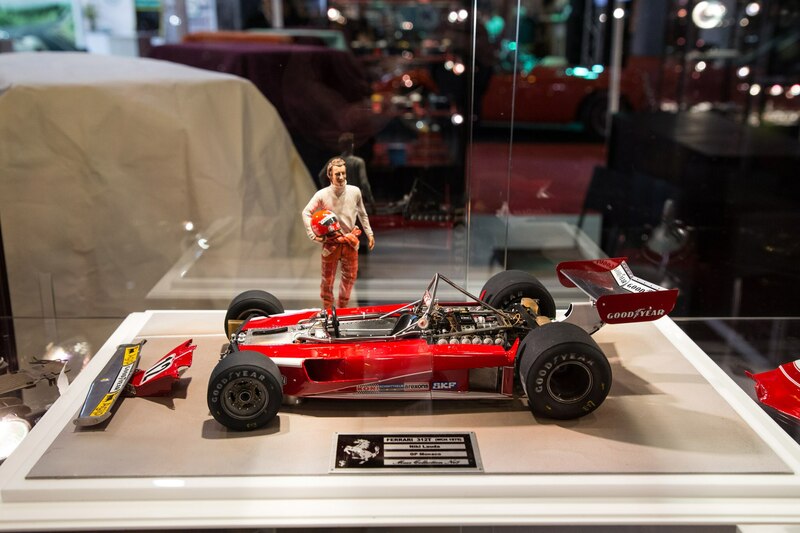 For us less fortunate, we made do with buying actual toys—scale models, memorabilia, art, and the like. 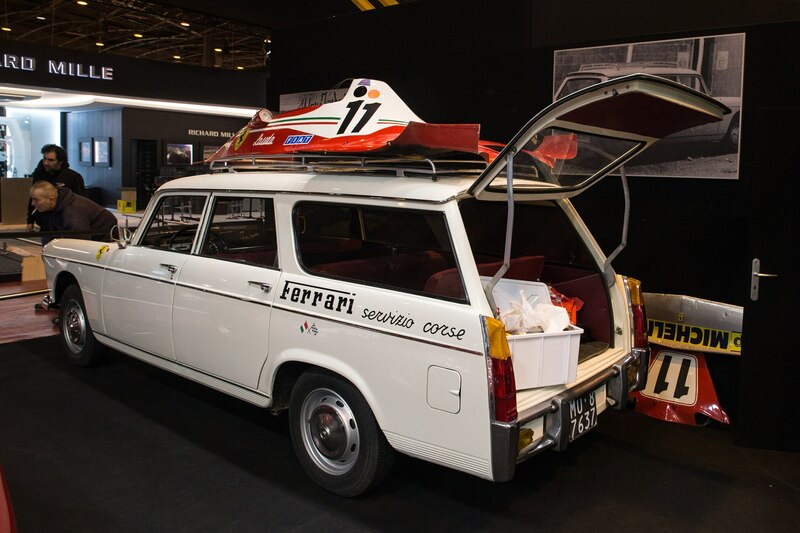 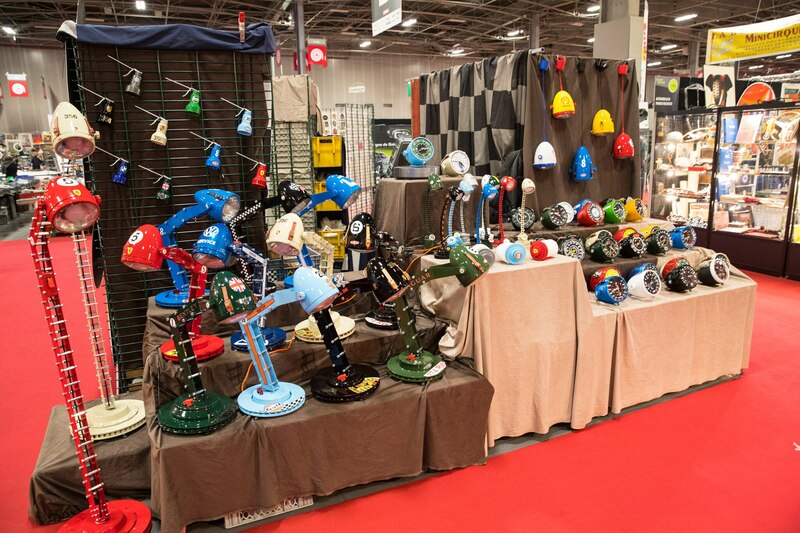 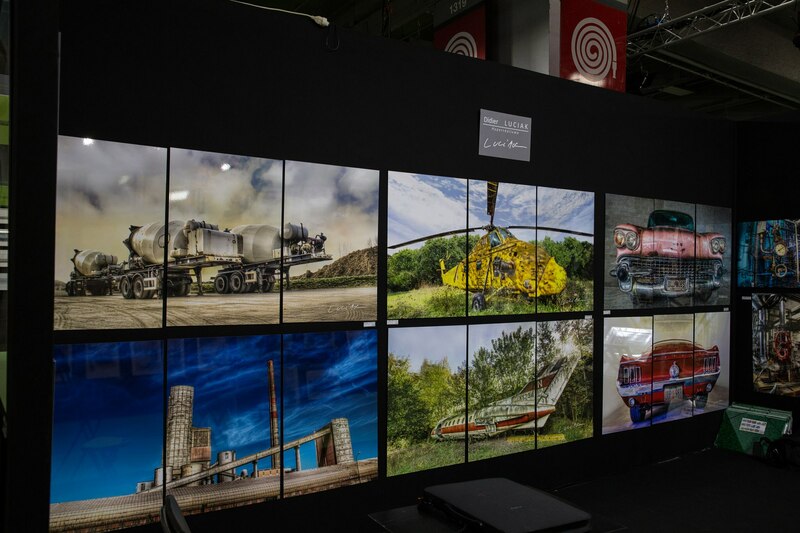 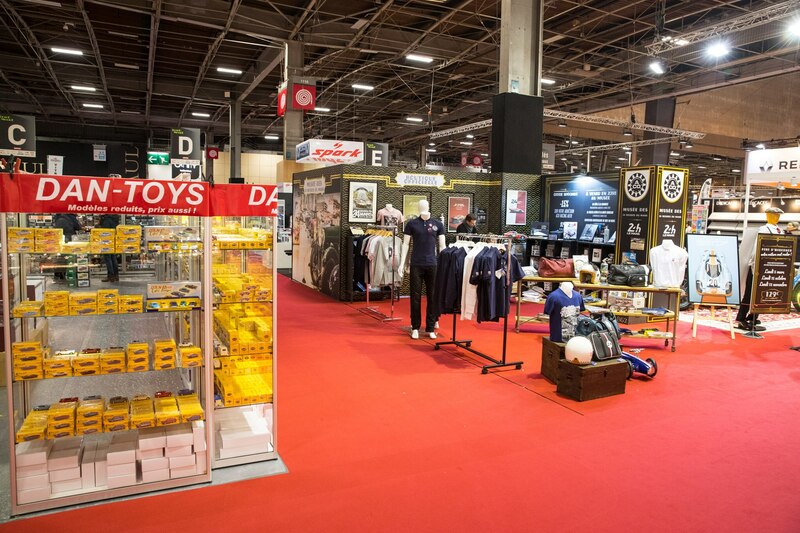 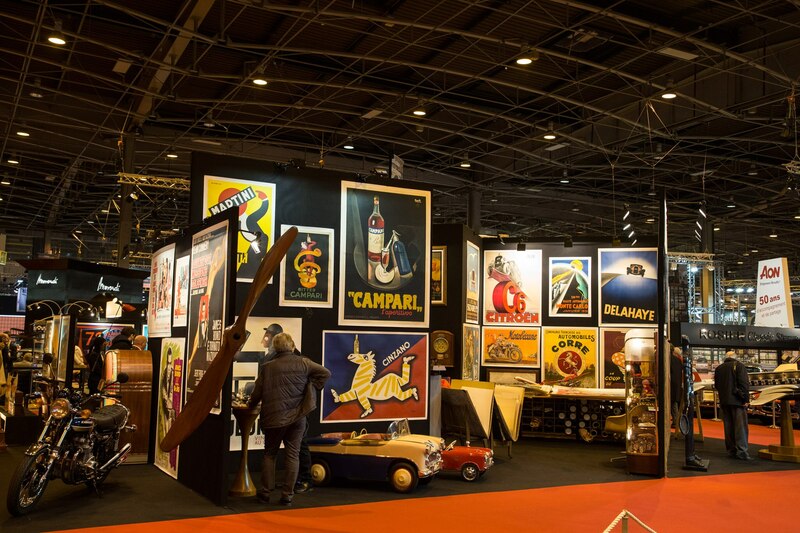 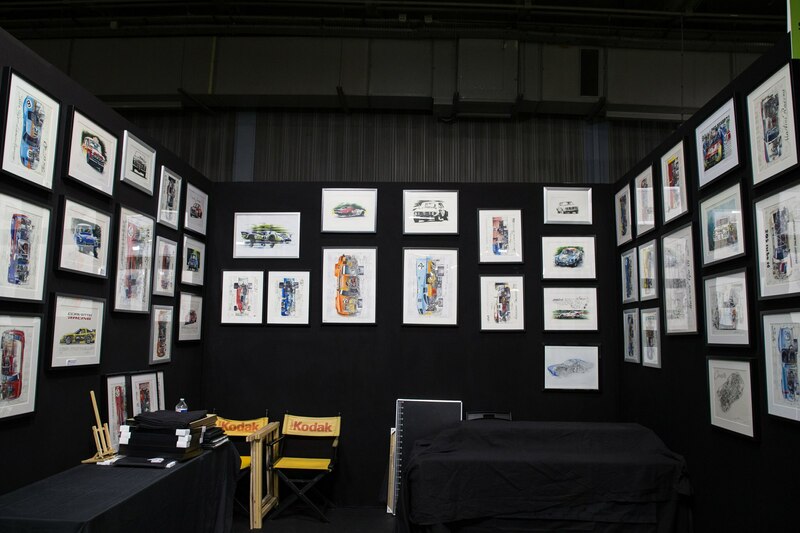 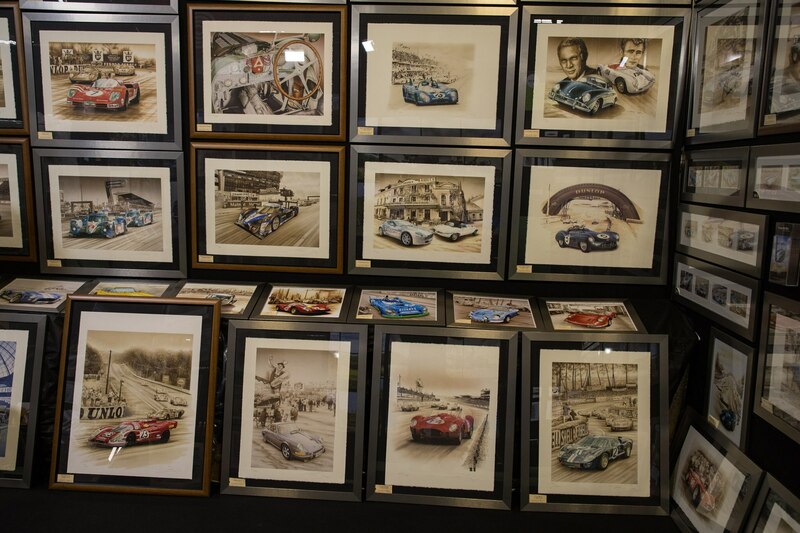 There are hundreds of vendors at Retromobile and if you’re looking for a particular car-related item to purchase, the odds are strong that you’ll find what you’re looking for. 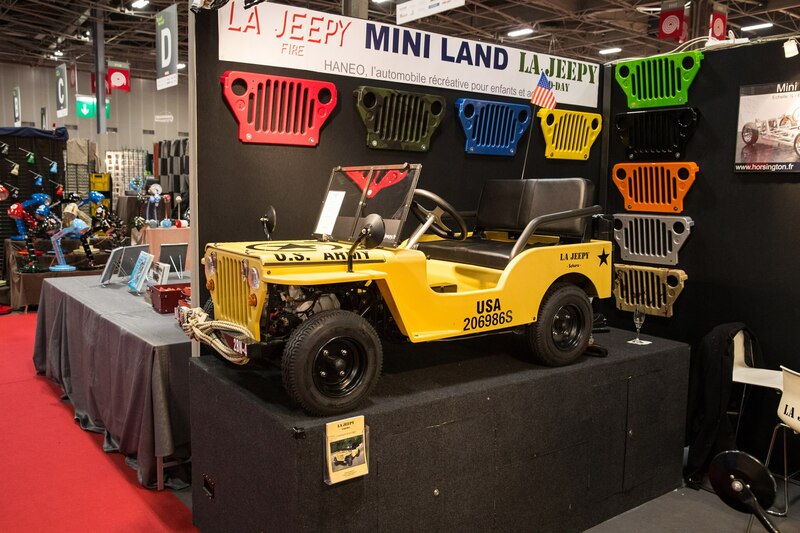 Though the majority of car parts vendors seemed to cater to home-market vehicles (Citroen, Renault, Peugeot, etc), there was a very well-rounded mix of automobila, including this “La Jeepy,” a scaled-down, drivable version of a classic U.S. Army Jeep. 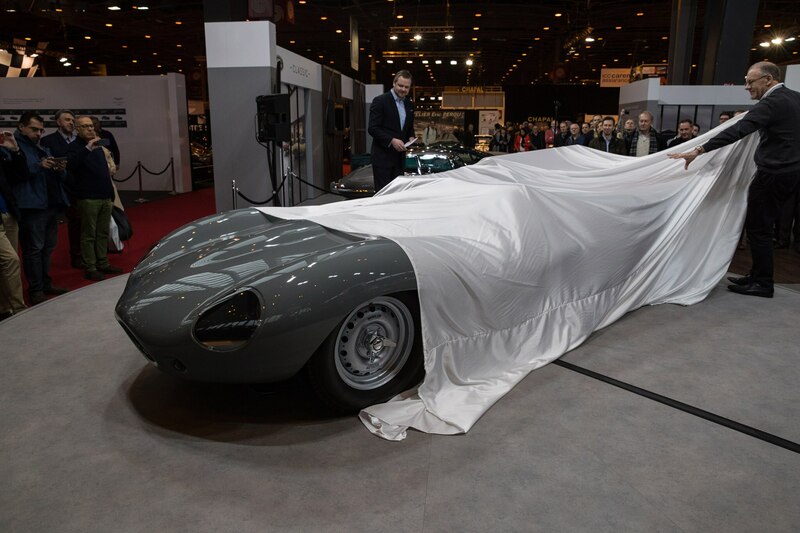 Just before Retromobile, Jaguar announced that it would build the “missing” 25 historic D-type models that had serial numbers assigned in-period, but were never constructed. 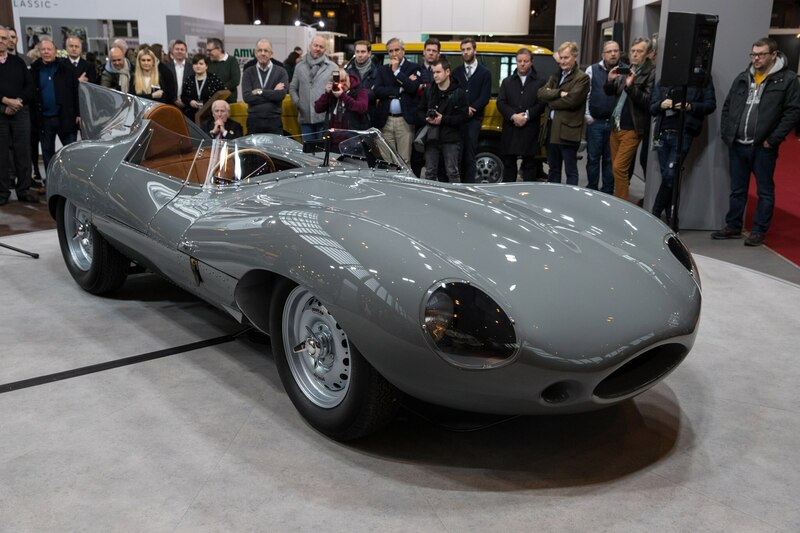 This follows a similar vein to the previously re-issued runs of E-type Lightweight and XKSS models. 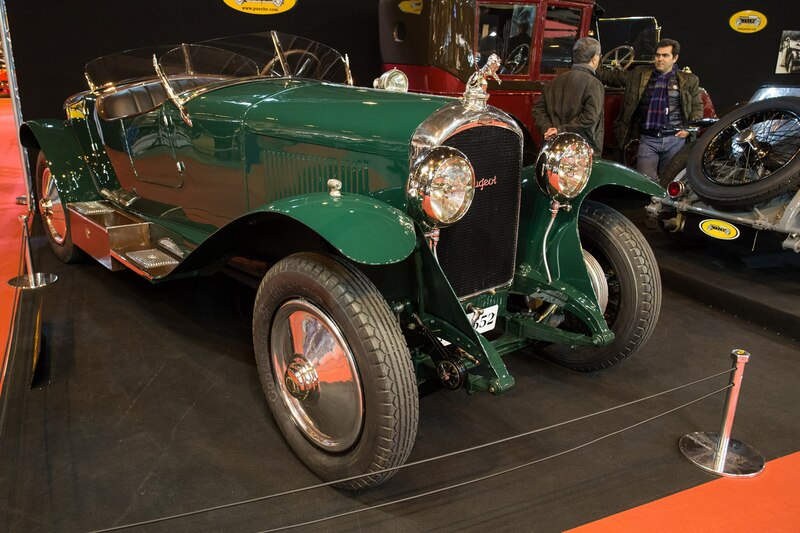 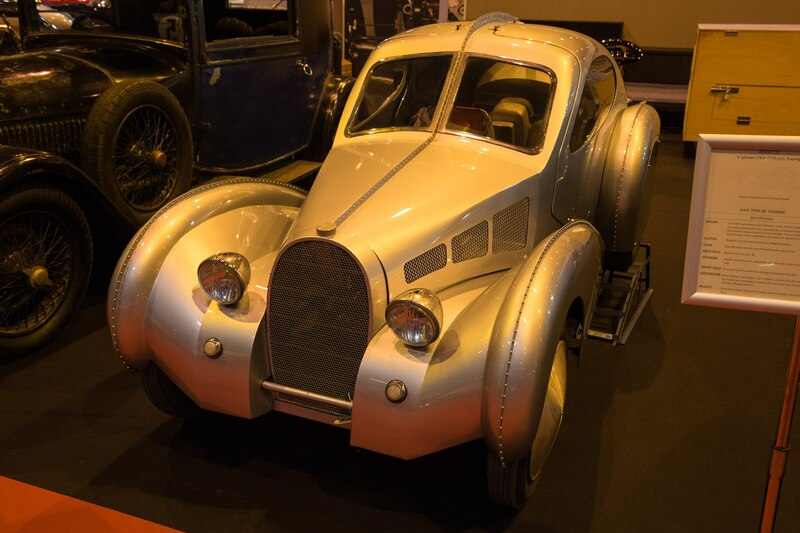 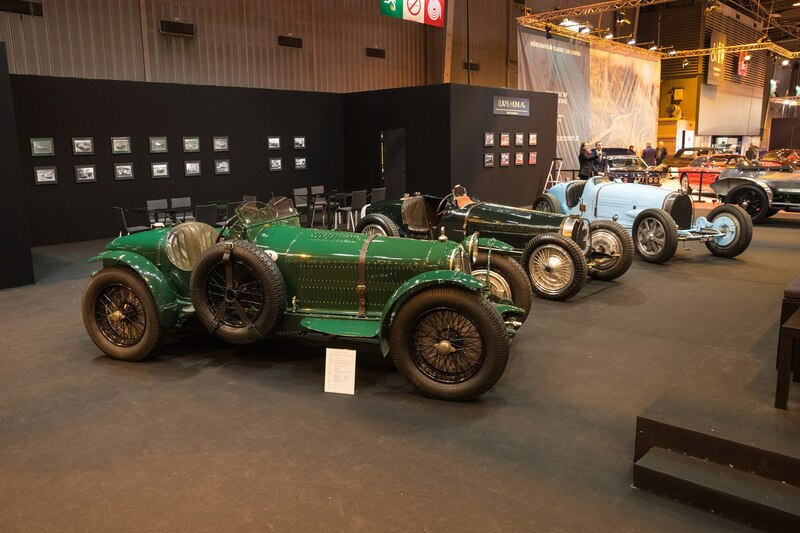 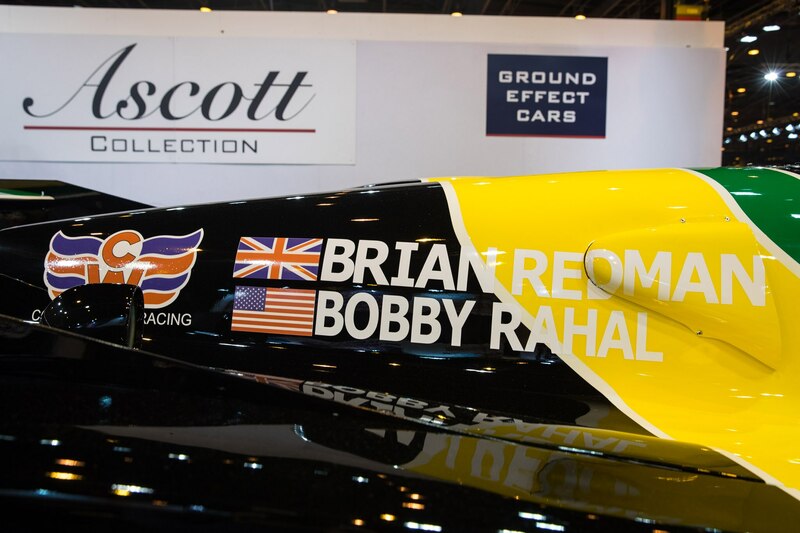 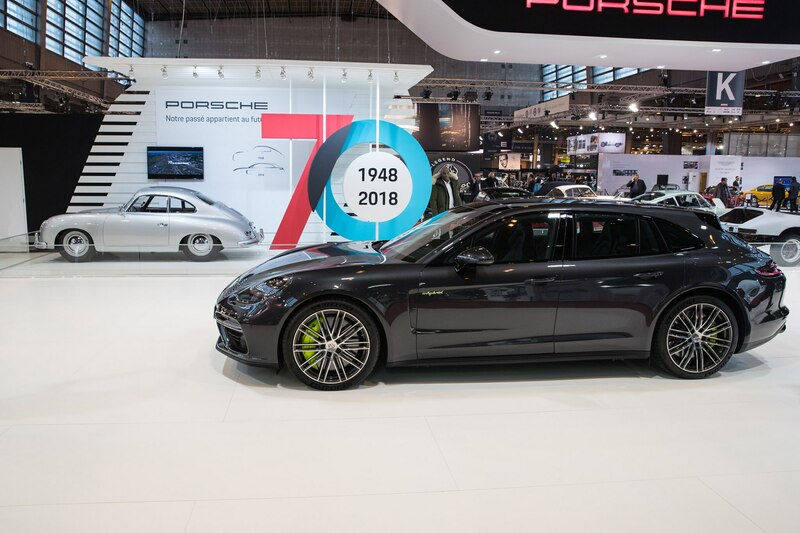 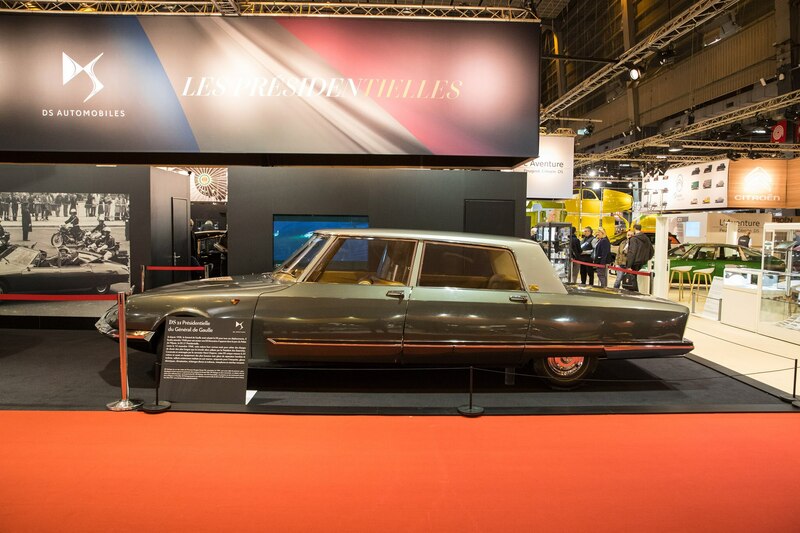 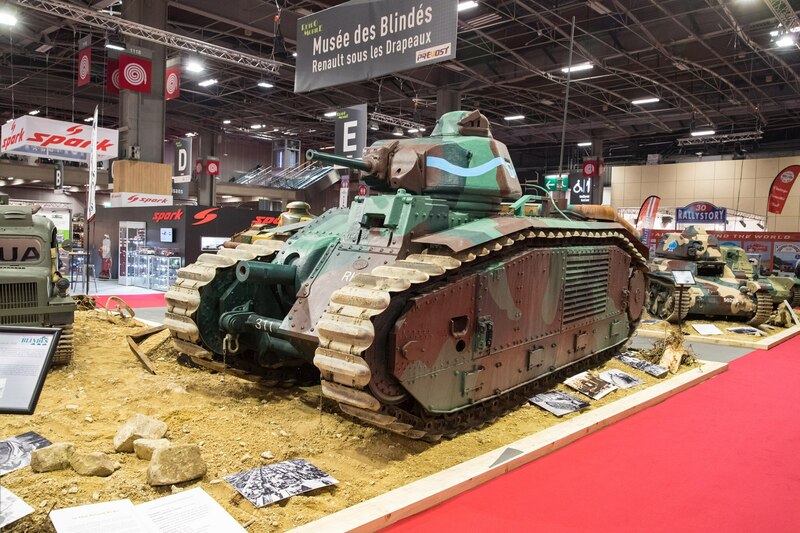 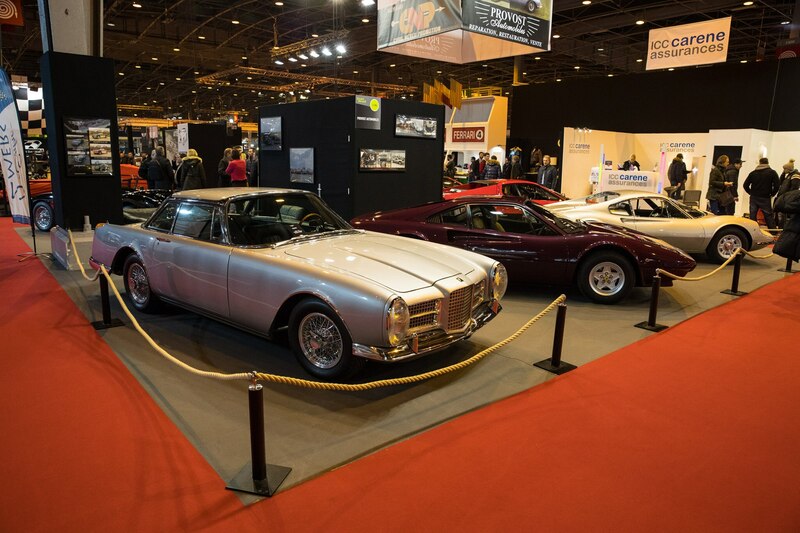 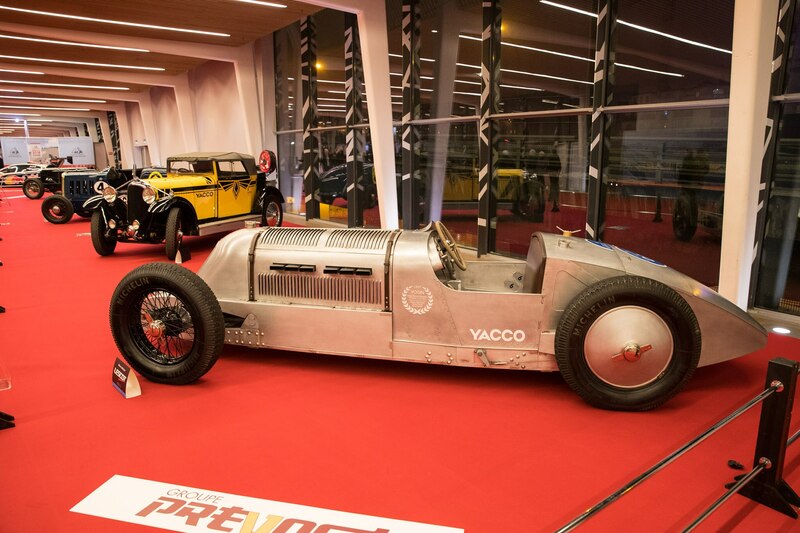 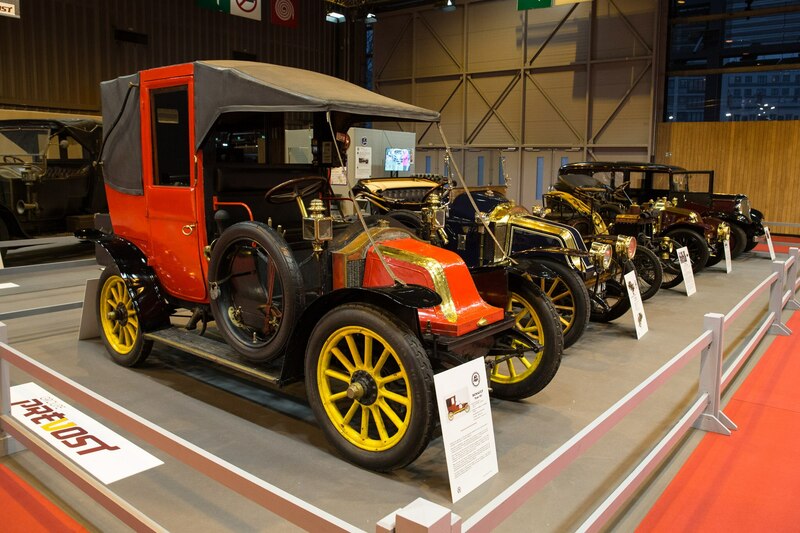 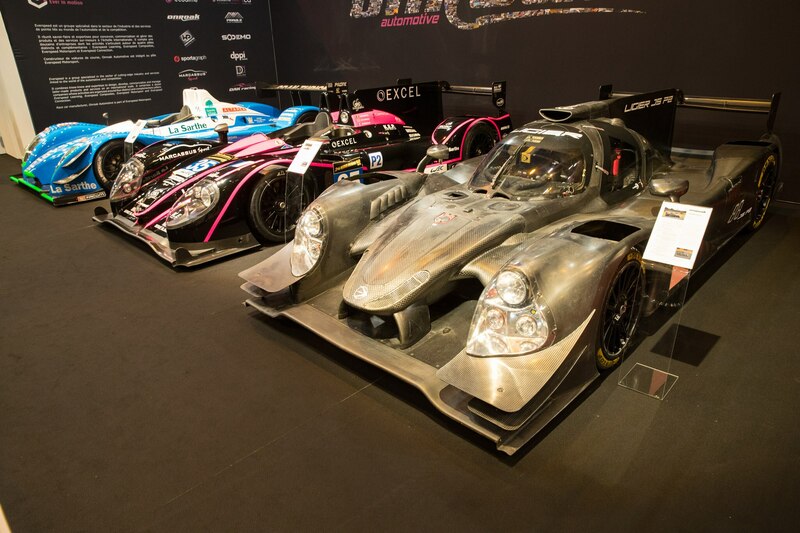 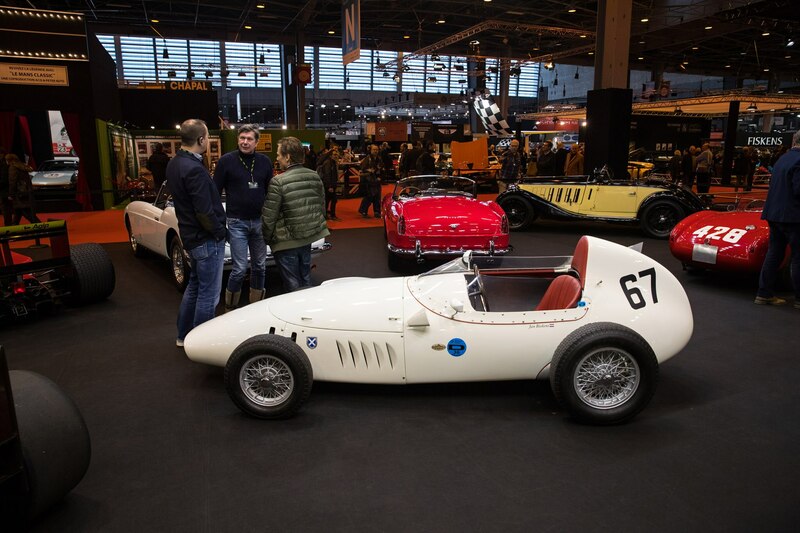 The first engineering prototype was on display at Retromobile and looked lovely in its battleship-gray paint. 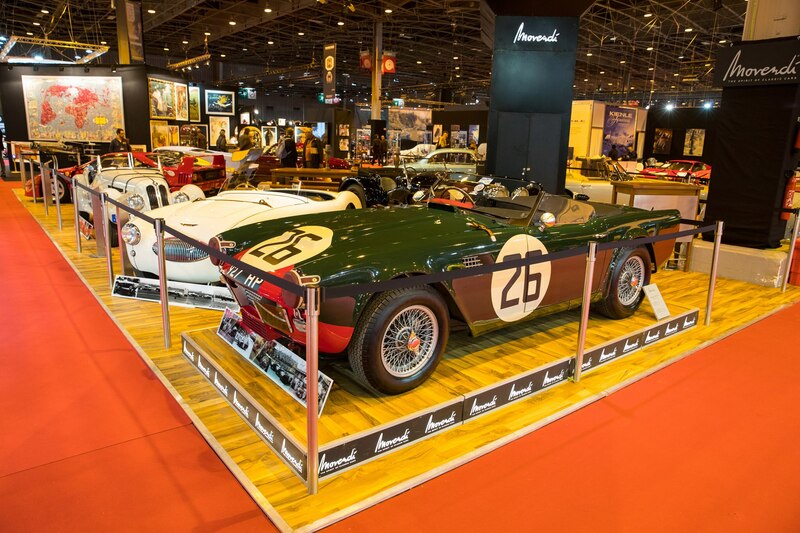 Figure around $2 million if you want one, which is far less than the $10 million or so it takes to get into a period-built example.